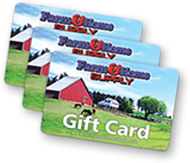 Get the job done without missing a step with a pair of men's work boots from Farm & Home Supply. 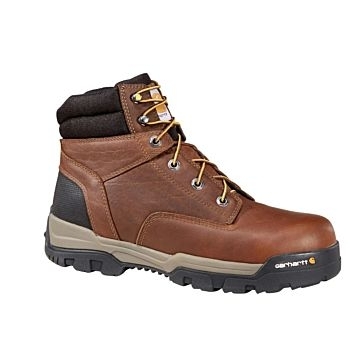 This collection of work boots includes steel-toed work boots as well as boots for hunting. 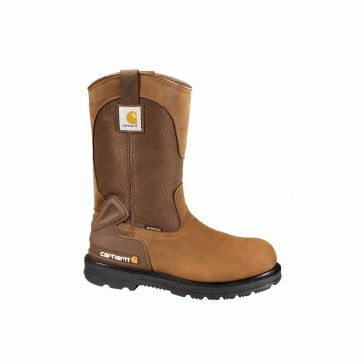 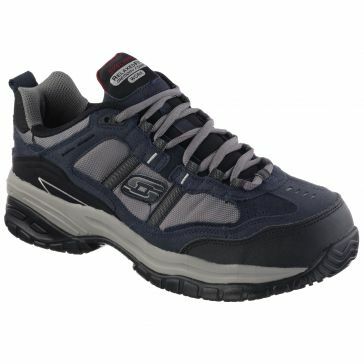 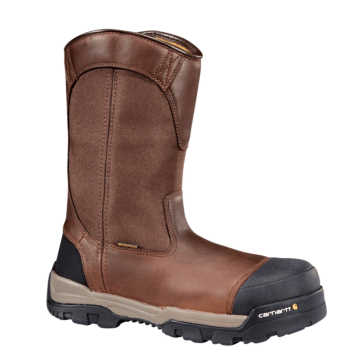 Wear them while working on the farm or at a job that requires full-coverage footwear. 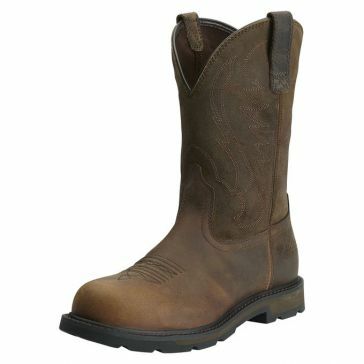 Most of our men's work boots are made in a shade of brown. 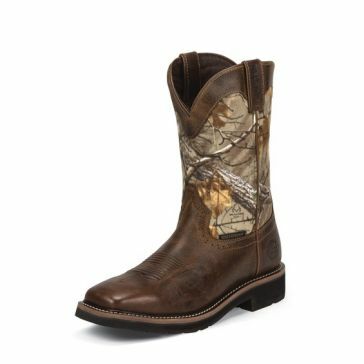 Some of the hunting-specific pairs feature camo print on the sides. 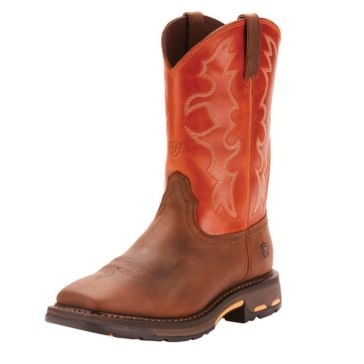 These men's leather boots come in many different sizes so that you can be sure you get a pair that fits. 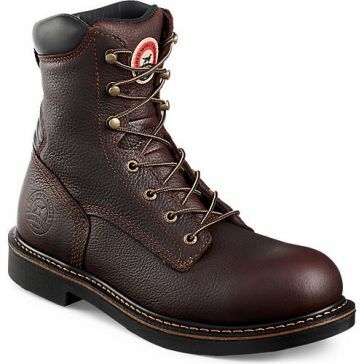 No matter what your personal style is, you're sure to find a pair of men's work boots that you like in our selection. 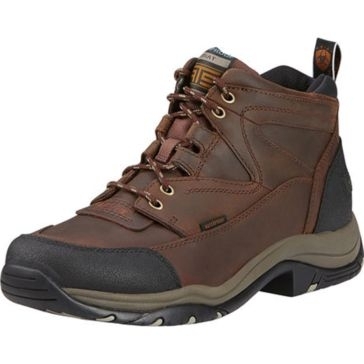 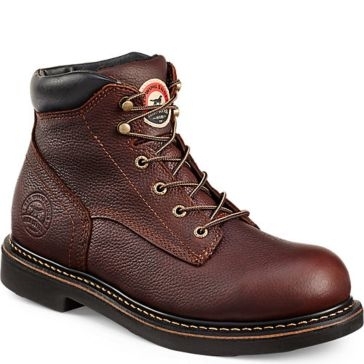 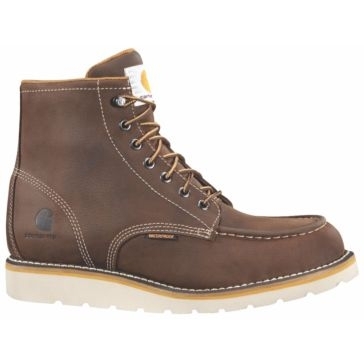 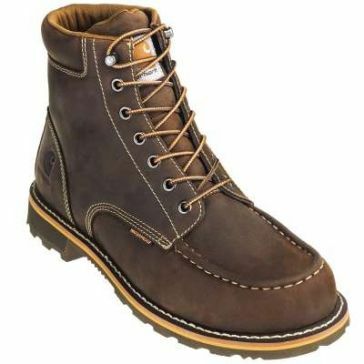 We carry basic brown leather work boots with steel toes and laces. 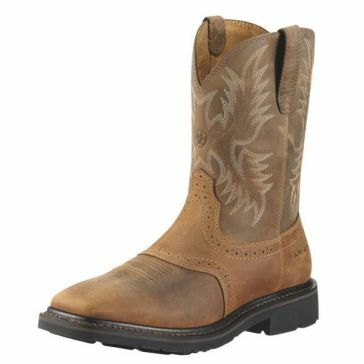 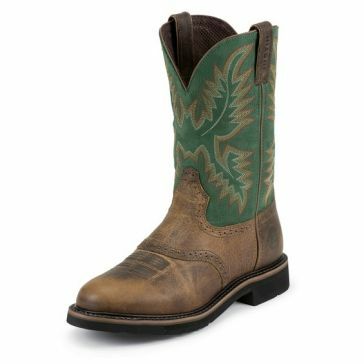 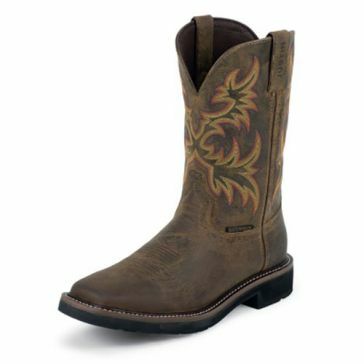 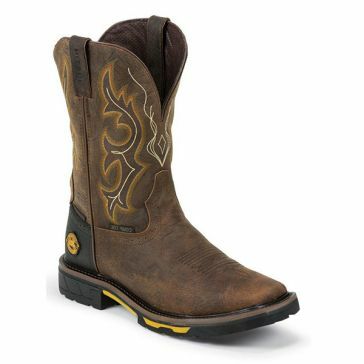 We also carry cowboy-style work boots. 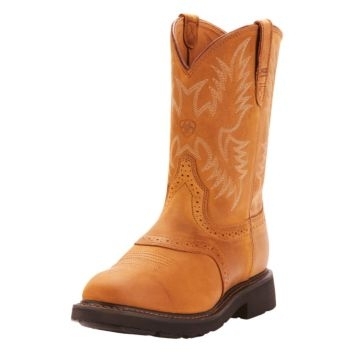 These square-toed cowboy boots are perfect for wrangling cattle and taking care of livestock. 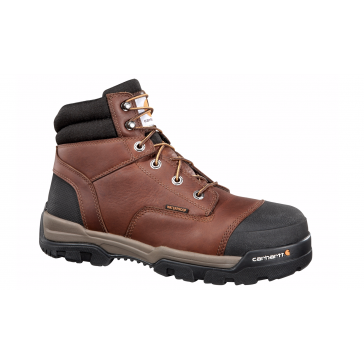 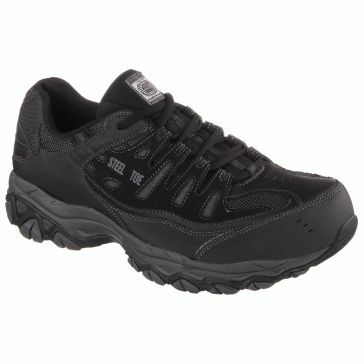 If you'd like a lighter pair and don't need the steel toe, you can also try one of our pairs of men's hiking boots. 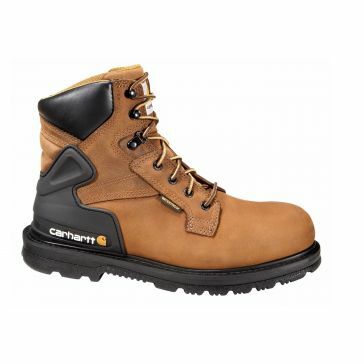 Some of these men's boots are even waterproof to keep you dry during wet conditions. 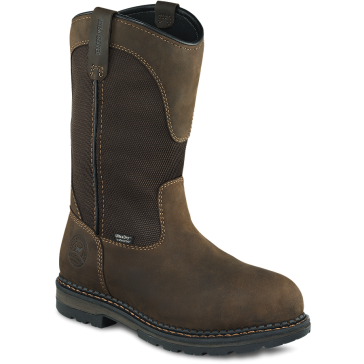 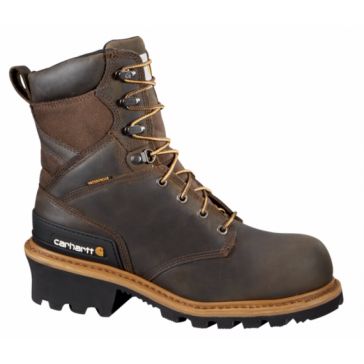 Our durable and high-quality boots are made by well-known manufacturers such as Carhartt, Irish Setter, Wolverine, Ariat and Timberland.